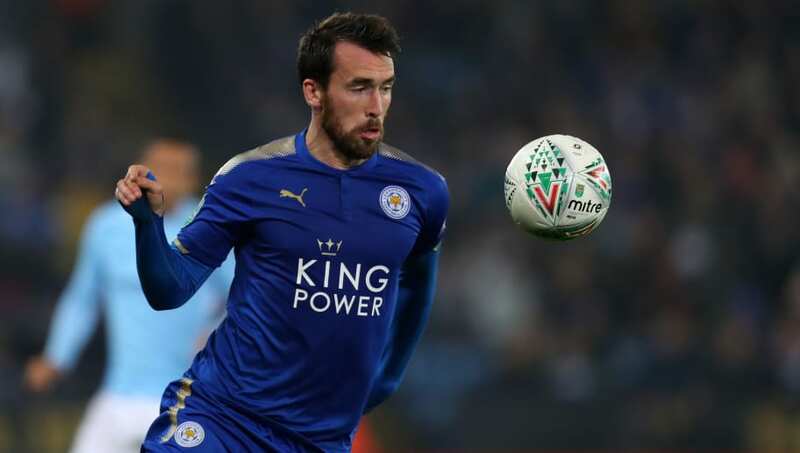 Leicester City's Christian Fuchs had previously stated his intent to leave the club when his contract expires in the summer, but the left-back's stay at the King Power Stadium may not be over as soon as he thought. With only eight appearances so far this season, first-team opportunities have been slowly drying up for the Austrian, seemingly paving the way for him to make an exit this summer. However, Foxes boss Brendan Rodgers, who joined the club at the end of February, has insisted that his future is not yet decided. The manager then suggested that the full-back's contract situation has not yet been finalised, as he continued: "We’ve had a couple of conversations, but after the international break, we’ll probably look deeper into it". Upon joining ​Leicester in 2015, the former ​Schalke man was open about his intentions to make the move to the MLS after a spell in the ​Premier League, in order to rejoin his family. However, after playing a pivotal role in the club's unlikely title win in 2016, Fuchs added an extra year to his contract to take him to the end of the 2018/19 season. Over the course of the last two seasons, though, the 32 year-old has seen his spot a left-back taken by England international Ben Chilwell. However, with reports that Chilwell has been targeted by ​Manchester City, Rodgers will be wary of the threat of being left without any left-backs at all and may be keen to keep hold of Fuchs for a little longer.